A view from Mt. Cameron. Colorado Tourism should pay me for sharing this picture. 1. It takes a lot of effort to get to the top. 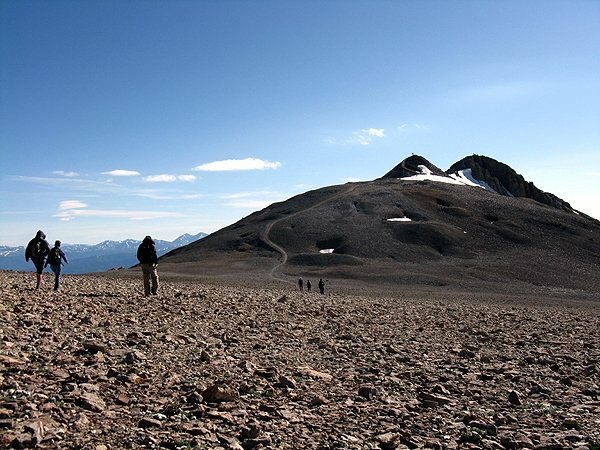 Mountains have long been used (and over-used) as a metaphor for challenging tasks. But sometimes expressions become cliché because they are just so perfectly suited to describe a situation. That’s the case here. When I was climbing Mt. Democrat, there were times when I couldn’t see the summit through the snow glaciers and rock formations in front of me. But I knew that if I kept putting one foot in front of the other – strenuous though it may be – I would eventually reach the top. 2. You’ll often encounter and overcome obstacles. On Mt. Bross, there was a patch of boulders and a steep incline right before the summit. The gravelly rocks made that part of the climb slow going, but when I finally got through that portion, there was a stretch of flat trail to the summit. Businesses can work similarly. Sometimes, when you persevere through a few challenging months (or years) of hard work with little to show for it, your entrepreneurial venture will suddenly take off. But you’ll never know if there is a flat stretch of trail at the end of the boulders unless you work through them to begin with. 3. You have to pace yourself and take breaks. Along your way to the top of a mountain, it’s important to pace yourself and take breaks to catch your breath (especially important at high altitudes). When you’re building a business, or even performing an arduous task, it’s important to take breaks. If you don’t take breaks to reflect on your work, you might veer off task and have to duplicate your effort. 4. When you get to the summit, you feel accomplished. Summiting a mountain is the culmination of hours of hard work. It feels awesome! When your business experience is a success, you’ll experience a similarly awesome feeling. The summit of Mt. Lincoln from Mt. Cameron. 5. It’s more beneficial when you share the experience with other people. 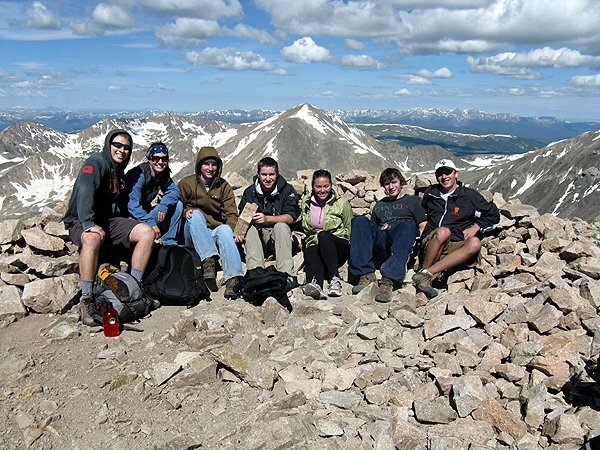 Though many people enjoy mountain climbing as a solitary experience of self-reflection, it can also be a social event. You gather a few people you don’t mind talking to for hours on end, and climb a mountain with them. When you have a business, it’s important to share that experience with other people. More than likely, those people can push you through and pull you out of the hardships you’ll face. Also, it hardly matters when your business is successful if you’re the only one who gets to delight in that experience. 6. You get to meet cool people along the way. 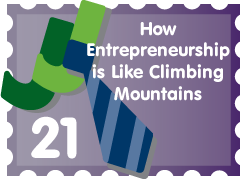 Mountain climbers and entrepreneurs are motivated, talented, and often idiosyncratic people who have a passion for living a little bit on the wild side – living on the edge, you might say. They scoff at dangers both mortal and financial, and most have uniquely adventurous life stories to show for it. Though you should get involved with entrepreneurship or mountain climbing because of your passion for them, don’t hesitate to make friends with the various people you’ll meet along the way. You never know when one of them might have some advice that could end up saving your business or – on the top of jagged peak – your life. Between the four different mountains, I must have exchanged words with 30 or more people. Mountain climbers tend to be friendlier when they’re engaging in something they’re passionate about. The same can be said for entrepreneurs. 7. It’s easier to climb in certain seasons. Mountain climbing is a seasonal sport. A few 14’ers are only climbable for one month out of the year. The rest of the time, they are covered in virtually impassable snow. Some businesses are the same way. For instance, in most places grass doesn’t grow year-round. Therefore, don’t expect your lawn service to be profitable when the grass is dormant. 8. When you climb one, you want to climb more. Climbing mountains can become an addiction. One of the friends I was climbing with is planning on climbing eight 14’ers in the month of July. Trying to climb just one mountain is like trying to eat just one potato chip: with a little bit of self-control, you can restrain yourself – but who would want to? Starting a business can be equally addicting. This is why the term ‘serial entrepreneur’ came about. Most entrepreneurs aren’t satisfied with one successful business. Another important point to make is that by becoming an entrepreneur, you have the freedom to decide to do things you enjoy (i.e. climbing mountains) when you want to do them. If I had a traditional job or internship like most of my peers, it would’ve been challenging to join this expedition. The crew atop Mt. Bross with Mt. Democrat in the background. I'm on the far right. To summarize the hike, I climbed Mt. Democrat, Mt. Cameron, Mt. Lincoln and Mt. Bross. 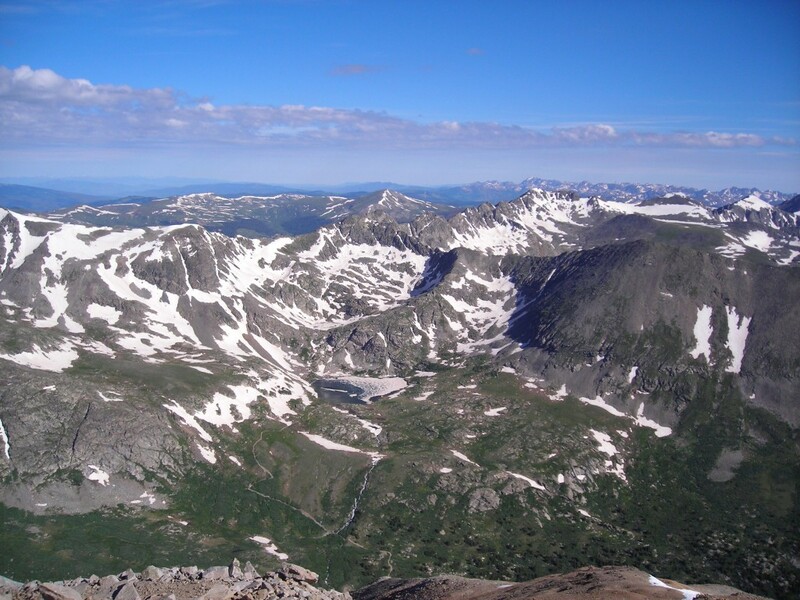 These four mountains are all within a few miles of each other, so climbing these four 14’ers really isn’t as impressive as it sounds. Regardless, the whole trip was about 7.25 miles long, eclipsed 3,700 vertical feet and lasted about 5.5 hours. Overall, the experience was exhausting but worth it. I often feel the same about JuniorBiz. If you like this article, you’ll like my other ones too. If this is the case, you should get JuniorBiz by email..